There are thirteen creature types: aberrations, animals, constructs, dragons, fey, humanoids, magical beasts, monstrous humanoids, oozes, outsiders, plants, undead, and vermin. This article covers aberrations through humanoids; see next week’s article for the rest of them. Aberrations: Aberrations are creatures with truly alien physiology and/or psychology, such as aboleth, chokers, gricks, mimics, and naga. Aberrations serve very well in the “weird, tentacled horror” role in Freeport, things found in ancient ruins awash with evil magic, or summoned from alternate realities, or living in places far from civilization. Freeport may be pretty accepting of different groups of humanoids (if grudgingly), but that acceptance is unlikely to extend to something as weird as an aberration. Running into an aberration in a Freeport campaign should be a sign of having moved out of the daylight of modern society, into the darker reality beneath the façade of civilization. Animals: Animals include any creature based off a real-world lifeform that is not smart enough to have language (at least generally), but not mindless the way insects are. Everything from wolves to dolphins to dinosaurs count as animals, and make for great Freeport encounters. The threats of seaborne animals can include aquatic dinosaurs, whales, sharks, and so on, while unexplored islands and dense jungles may contain any animal appropriate for the terrain, and things like carnivals and traveling menageries can bring unusual animals into Freeport. The CR of animals tends to go up as they get bigger so higher-level adventures may need a fair amount of elbow room for appropriate animal encounters, but a GM shouldn’t be afraid to use a pack of 4-8 smaller, lower-CR creatures to add up to a challenging encounter. Constructs: Constructs are lifeless automatons given the ability to move and act through magic (or, more rarely, advanced technology), and include golems and animate objects. In general constructs in Freeport should be the result of a specific creator or event, rather than randomly rolled encounters with no backstory. A mad wizard’s masterwork creation, an ancient guardian left to protect a now-ruined vault, or a cursed doll created by a horrific mishap are all good examples of Freeport-style construct encounters. Clockwork and steam-driven technologies may make sense for specific origins of constructs, but truly advanced technology such as create androids and robots are outside of Freeport’s normal wheelhouse. Dragons: Dragons are extremely powerful reptile-like creatures that generally speak, have breath weapons, and possess magic abilities, such as red dragons, dragon turtles, drakes, and dracolisks. Dragons are less common in Freeport than some fantasy settings, but there’s certainly room for them as occasional palate-cleansers between undead pirates and serpent people cultists. Any aquatic dragon makes sense as an apex predator (and possibly political power) for an island chain or region of ocean. 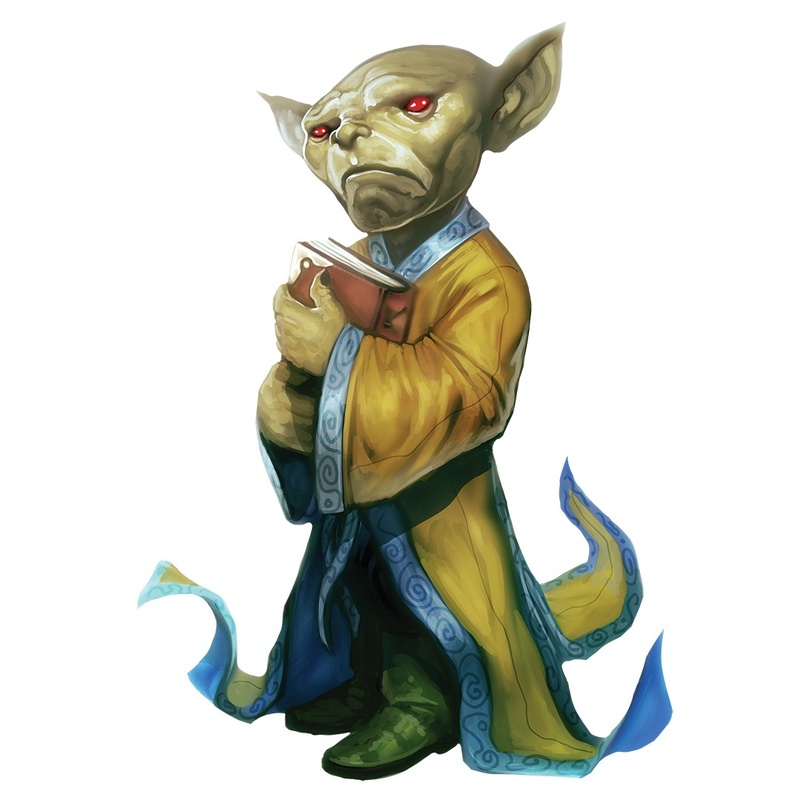 More intelligent dragons can also serve as particularly powerful cultists—an underworld dragon that is also a worshipper of the King in Yellow may be the ultimate ruler of a cult of serpent people spellcasters. Less intelligent dragons, such as drakes, can be used in wilderness areas in much the same way animals and magical beasts are. Fey: Fey are creatures with supernatural powers and ties to some aspect of nature, such as brownies, dryads, and gremlin. Fey players are familiar with from Greek myth or other common sources may not be a good fit for a typical Freeport game, but the idea of powerful roughly-human-appearing creatures with mystic ties to the land can easily be used in a Freeport game. If an enormous glacier drifted into a sea route, and all efforts to explore it or break it up failed because it was protected by creatures with caribou skills (ijiraqs), the combination of potential horror of the unknown and mystic foes would be perfect for a Freeport game. Additionally, gremlins fit well with the kind of superstition and blaming magic forces for minor inconveniences common to Freeport, and are a worthy addition at any character level. Aquatic humanoids can always be used as more organized and better-equipped threat at sea. Giants are also included in the humanoid category, and likely should be used sparingly. Ogres, cyclops, and similar merely Large giants might be able to make their way within Freeport proper, but most less civilized giants (such as trolls) and larger giants (such as storm giants) should be encountered further from the player’s home base. Join us next week for Part II of this article!